SAN DIEGO, July 26, 2016 -- Northrop Grumman Corporation's (NYSE:NOC) autonomous Global Hawk unmanned aircraft system (UAS) surpassed 200,000 flight hours, reinforcing its status as the most effective high altitude, long endurance intelligence gathering aircraft in the world. The U.S. Air Force's Global Hawks logged 88 percent of the 200,000 flight hours with the remaining hours flown by NASA Global Hawks, Germany's Full Scale Demonstrator and the Navy's broad area maritime surveillance aircraft systems. Global Hawks operate at altitudes up to 60,000 feet for more than 30 hours, surveying thousands of square miles on a single mission. Global Hawk carries a variety of sensor payloads that allow military commanders to gather near real-time imagery and use radar to detect moving or stationary targets on the ground. The system also provides airborne communications and information sharing capabilities to military units in harsh environments. 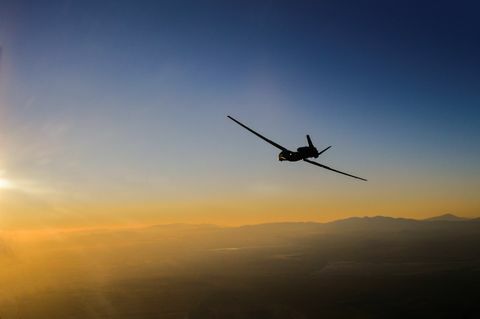 "Global Hawk has set endurance records and displayed an unmatched record of safety while reducing per hour flight costs to half the cost of the manned alternative," said Mick Jaggers, vice president and program manager, Global Hawk, Northrop Grumman. 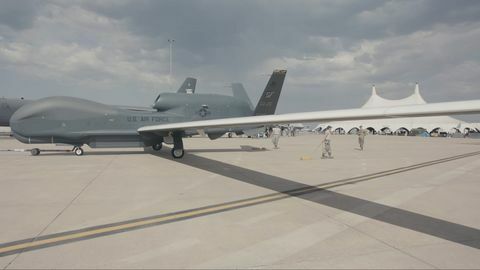 "This milestone is especially meaningful as it comes just before the 15th anniversary of Global Hawk's first deployment into the theater of operations following the tragic events of 9/11. We expect Global Hawk to continue to provide indispensable ISR information to our warfighters." The Global Hawk system is building on its heritage of innovation, modernizing its current capabilities by integrating new technologies that enhance capabilities, performance and reliability. Earlier this year, Global Hawk successfully flew a SYERS-2 intelligence gathering sensor, marking the first time the legacy Air Force sensor has been demonstrated on a high altitude autonomous aircraft. 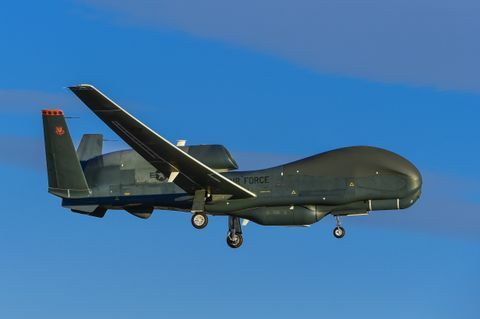 Northrop Grumman plans to fly an Optical Bar Camera and an MS-177 multispectral sensor later this year via Global Hawk's open systems architecture. Global Hawk entered combat operations shortly after the 9/11 terrorist attacks. Since then, it has flown operational and humanitarian missions around the world supporting Southern California wildfires, the Japanese tsunami, the Haitian earthquake and the Philippines' typhoon. NASA Global Hawk actively monitors environmental changes, tropical storm developments and provides ground breaking approaches to high altitude atmospheric research.